TULSA, Okla. (AP) – A prosecutor is disputing reports that the case has been dismissed against four teenagers accused of sexually assaulting a teammate on their Oklahoma football team. 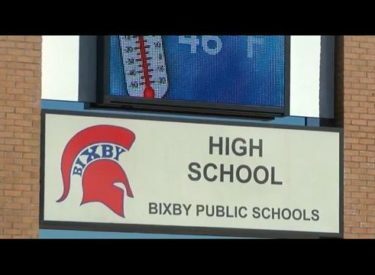 The case involving the former Bixby High School players is in juvenile court, so information isn’t public. However defense attorney Brett Swab told the Tulsa World that the case had been resolved and that he was pleased with the results. He declined to say exactly what a judge had decided about the cases. The cases involve three 17-year-olds and a 16-year-old who were charged with using a pool cue to sexually assault a then-16-year-old boy during a team dinner in 2017 at the home of the former Bixby schools superintendent. The Associated Press is not naming the defendants because of their ages.